I needed a boost. I had a 45 minute drive ahead of me and my peeper lids did not want to stay open. I have never had one of those energy drinks. 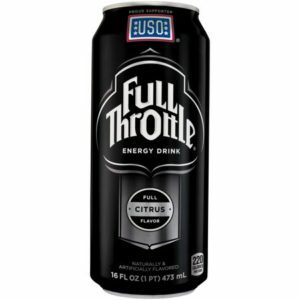 I have heard they are not that good for you, but I figured a little energy drink would be a whole lot better for me than falling asleep at the wheel. There’s a whole assortment of drinks to choose from. There is Monster, Red Bull, 5 Hour Energy, and on it goes. 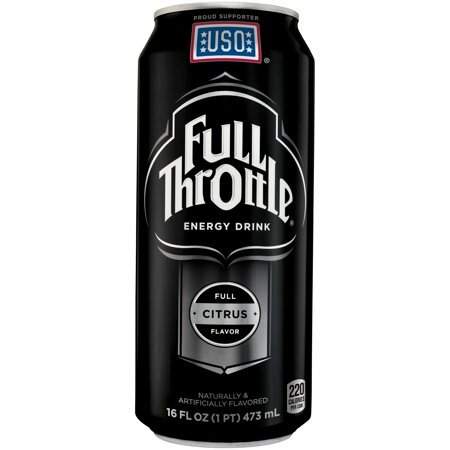 After a brief perusal of the ingredients on some of them, I decided to go with one called Full Throttle. It had some B vitamins in it and was of a citrus flavor. It didn’t taste bad, but regardless of the taste, it was going down the hatch. I think it must have done some good because I did not get drowsy on the trip, nor for quite a while into the late evening. Mission accomplished. With the name of the drink I was reminded of my flying days. When you taxi the plane onto the end of the runway to take off, and the word comes from the tower to take off, you give the plane full throttle. With that, you can get up enough speed to get the plane off the ground. If you don’t give it full throttle, there will be a messy incident at the end of the runway. When you read the words in red in the Bible, you find Jesus saying things like you cannot serve God and money (Luke 16:13) and he talked about leaving all for the kingdom of God’s sake (Luke 18:29). He said that he who finds his life shall lose it and he that loses his life for my sake shall find it (Matthew 10:39). He said he who does the will of the Father which is in heaven, the same is his brother, and sister, and mother (Matthew 12:50). Throughout the teachings of Jesus, he called for a total commitment – full throttle. And that’s good, because if we just go part way with him, we are setting ourselves up for a crash. If we give ourselves to believe all his word and embrace all of who he is and what he has done for us, then faith connects us with the power of God. By the power of God we can get the plane off the ground in every area of life – spirit, soul, body, in family, financially, socially, and eternally. Total commitment opens us up to the life and power of God that goes beyond mere intellect. God does not have us to forsake intellect. Rather, he has us submit our intellect to him so his power can enhance it. Intellect can only go so far. His power has no limits. Full throttle is a choice we make based on the facts of his word. If we want to get off the runway to fly in his power, we must give it full throttle. Previous Previous post: Hit the Save Button Now! Next Next post: Right Mama?